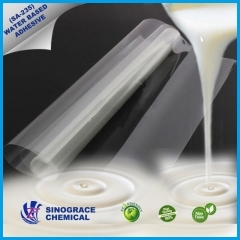 High adhesive force acrylic emulsion is designed for fiberglass grid cloth manufactural process. 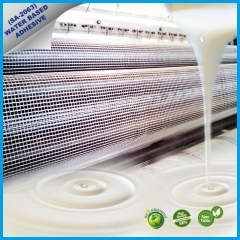 It can fix the shape of fiberglass grid cloth and improve the performance. 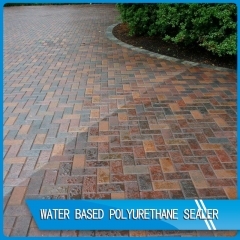 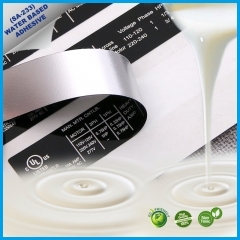 SA-902 is a waterbased polyurethane sealant that penetrates into the slate road and has a hydrophobic function, good abrasion resistance, water resistance, and can inhibit the growth of seaweed and mold. 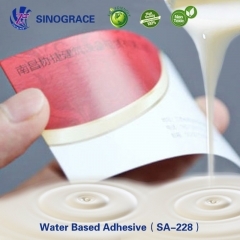 SA-233 is an adhesive specially designed for reverse gravure coaters, for the production of general purpose filmic labels or other pressure sensitive articles. 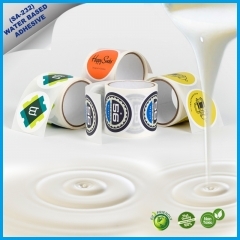 SA-232 is an adhesive specially designed for reverse and vario gravure coaters at higher converting speeds, for the production of general purpose paper labels or other pressure sensitive articles. 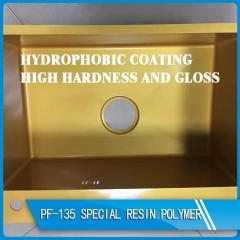 Special resin polymer for Acrylic Industrial coatings PF-136 is a kind of special resign polymer, with excellent adhesion to different substrate surfaces, with high hardness. 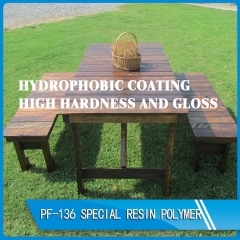 Special resin polymer PF-135 is a kind of special resign polymer, with excellent adhesion to different substrate surfaces, with high hardness.